Make this heavenly s’mores dip for a party dipping treat that everyone will love! Set out some graham crackers, pretzels, and fresh fruit to go with this dip and watch this dip practically disappear. 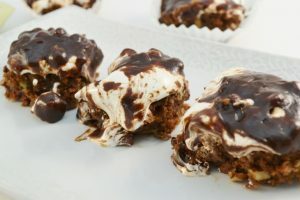 Featuring the flavors of smooth chocolate and fluffy marshmallows, you’ll just need to make sure to make a plus-sized batch, because your friends and family will eat it up in no time! 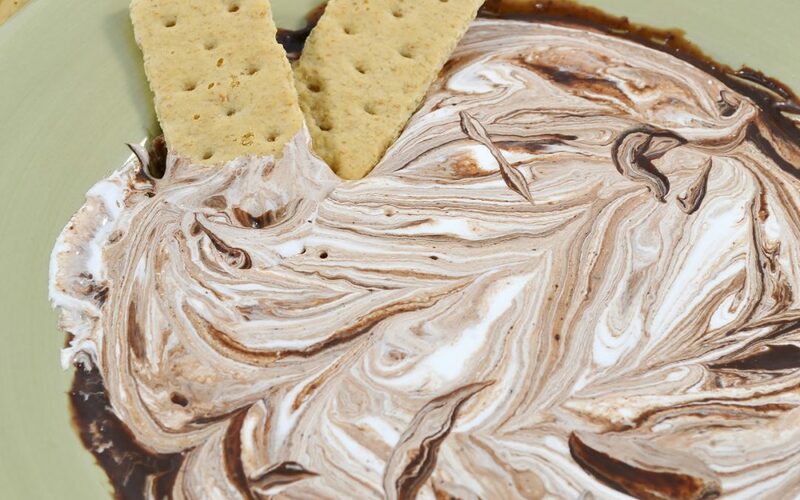 Follow the written or video directions below to learn how to make this incredible s’mores dip. 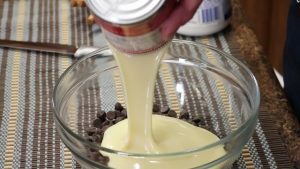 In a bowl, place dark chocolate chips and 1 can sweetened condensed milk. Microwave until smooth, stirring often. Microwave for 30 seconds and stir with a knife. 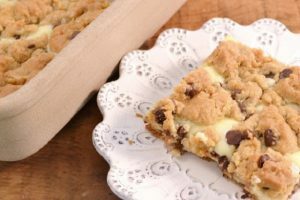 Serve with fresh fruit, graham crackers, pretzels, and peanut butter cookies. Enjoy! The Best Plastic Mixing Spatula! The Rada Mixing Spatula is an amazing plastic spatula that you’ll reach for again and again! Featuring a high-quality one-piece nylon construction, these are perfect for stirring, scraping, mixing, and more. 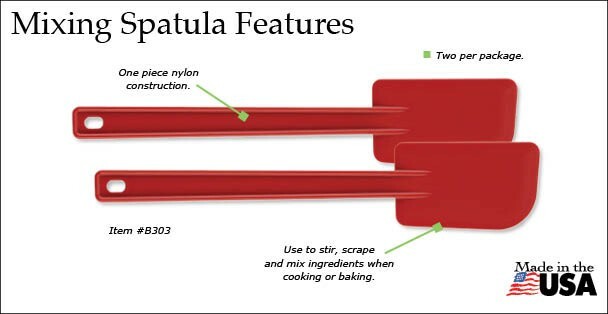 Featuring an appealing red color, the Mixing Spatula comes in packages of two, making it ideal for ingredient-heavy recipes. Like all Rada Cutlery products, the Mixing Spatula is made entirely in the USA! 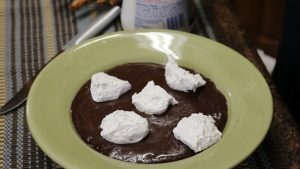 The Best Chocolate and Marshmallow Dessert! 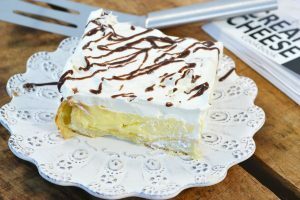 This dessert must be tasted to be believed! Oodles of chocolate, marshmallow creme, and nuts come together in a cake that’s nothing short of divine. Just be sure to make enough for everyone! Rada Cutlery has been the partner of choice for countless nonprofit groups since 1948. 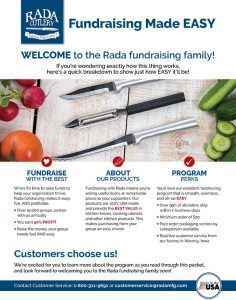 By partnering with Rada Cutlery, your fundraiser has a number of advantages that will ensure success! Tens of thousands of churches, schools, sports teams, youth groups, civic organizations, and more meet and exceed their fundraising goals with Rada. 1. 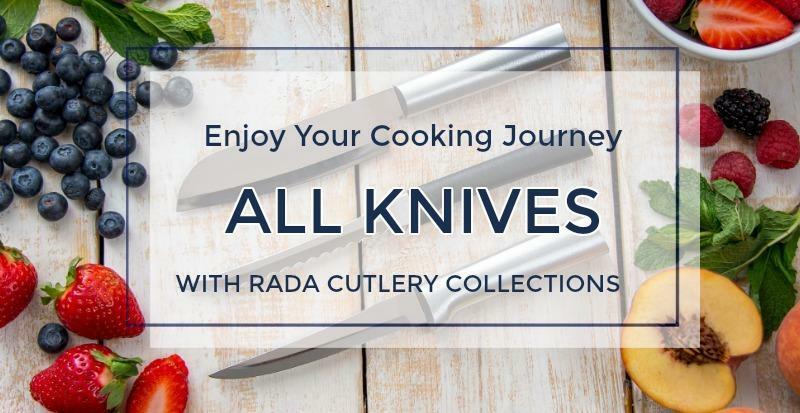 Great Products People Want – Rada Cutlery offers 26 pieces of cutlery, 21 kitchen utensils, 42 cookbooks, and six stoneware baking pans. 28 gift sets are perfect for any occasion, while 43 scrumptious Quick Mixes make incredible dishes with ease. 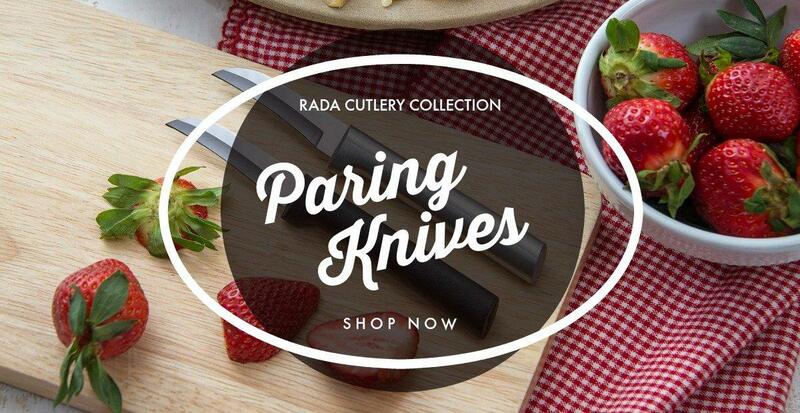 All cutlery, utensils, and gift sets are backed by a Lifetime Guarantee, so when you buy Rada, it’s for life. 2. Enormous Profits on Sales – Rada Cutlery fundraisers give your group an incredible 40% average profit on items sold! That’s far more than most fundraisers. Your group’s efforts go further with Rada, making the best use of your group’s time and energy. 3. 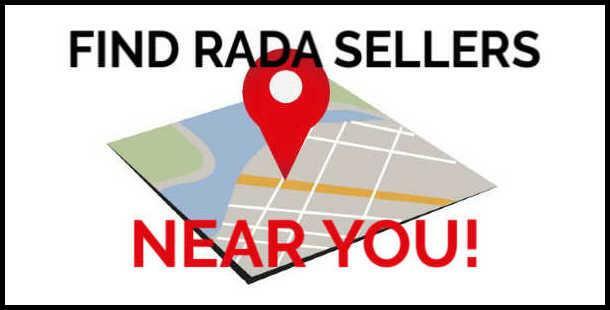 Incredible Customer Service – Fundraising groups are known to rave about the quality of Rada’s customer service. Our friendly, knowledgeable representatives are committed to helping each fundraiser be a success. 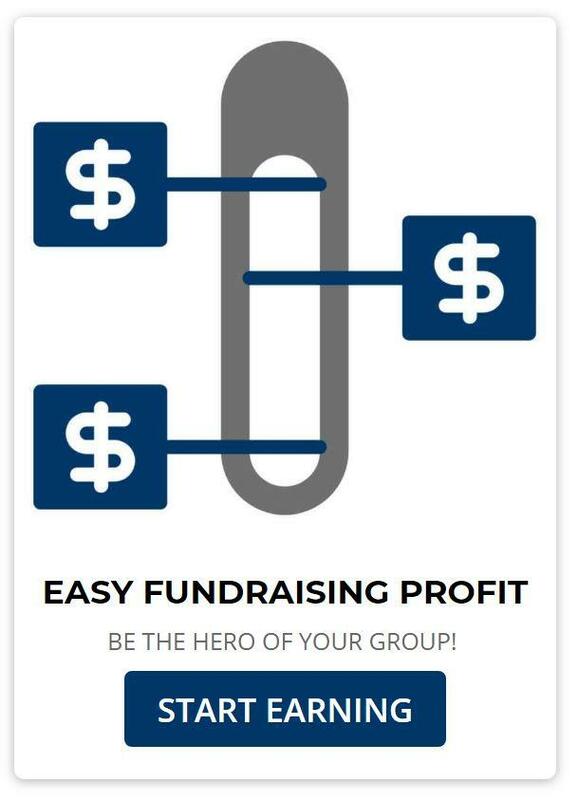 Rada is a company built on fundraising, and it shows! 5. 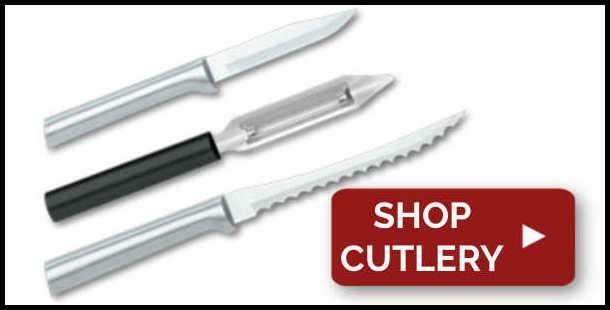 American-Made Cutlery – Every Rada product is made entirely in the USA. American workers craft each item with unmatched skill, making products your group and its supporters can be proud of. 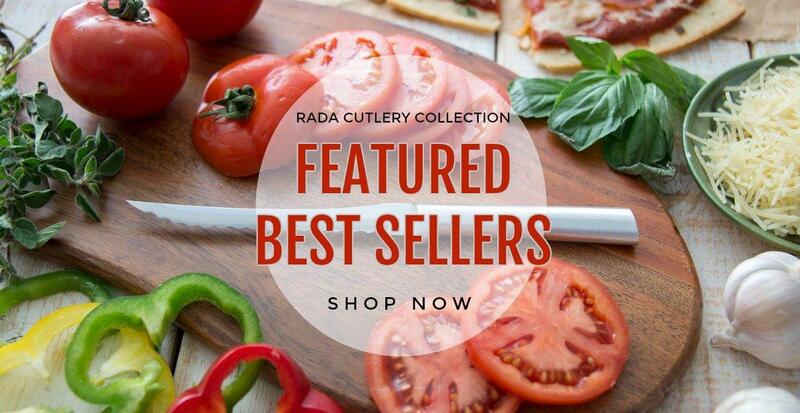 Stop by the Rada Cutlery website to learn more about how our employees’ dedication to quality helps make Rada products the best for your fundraiser! 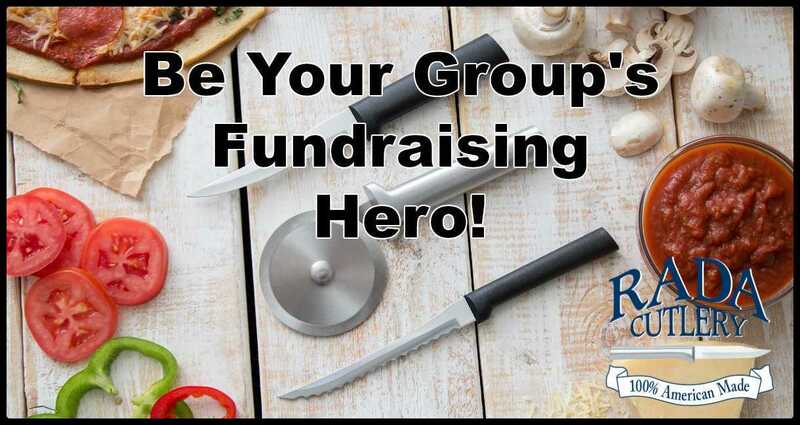 Rada’s fundraising site has all the information you need to get your Rada Cutlery fundraiser started! View an online version of Rada’s latest fundraising catalog. Check out Rada’s Fundraising Made EASY Leader’s Guide for a quick look at Rada fundraisers! Rada Cutlery is on your favorite social media platform! 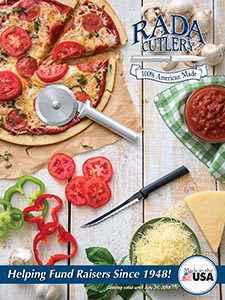 Check us out for recipes, product information, and more. 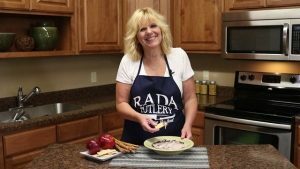 Hi, it’s Kristi in the Rada Cutlery kitchen, today I want to show you how to make an absolutely amazing s’mores dip. 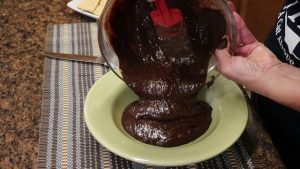 First, microwave 1 ½ cups of dark chocolate chips and 1 can of sweetened condensed milk until smooth, stirring often. 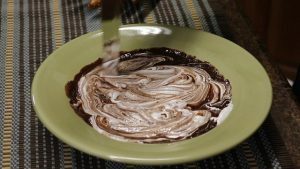 Pour the mixture into a microwave-safe plate or bowl and drop spoonfuls of marshmallow cream over the chocolate. 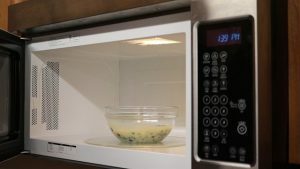 Microwave for 30 seconds and swirl together with a knife. 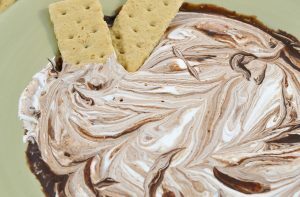 And there you an outrageous s’mores dip, perfect when served with graham crackers, fresh fruit, or pretzels. Be sure to subscribe to our YouTube channel, and visit us on our website at RadaCutlery.com.